How You're Losing Money by Not Using an IT Help Desk : Consolidated Technologies, Inc. When you have a problem with your technology, what do you do? Perhaps you call the hardware or software manufacturer or phone a tech-savvy friend. Maybe you try to fix the problem yourself. These approaches might work eventually, but they’re usually not the most efficient. Fortunately, there’s a better option out there — IT help desks. With this solution, you get fast, personal support. Often, the help desk professionals are already aware of whatever problem is occurring and begin working on it before you even call them. In fact, help desks are so superior to other options that if you’re not using them, you’re losing money. If you’re not using an IT help desk, you’re missing out on potential profit due to technical issues and spending more than you need to on IT services. 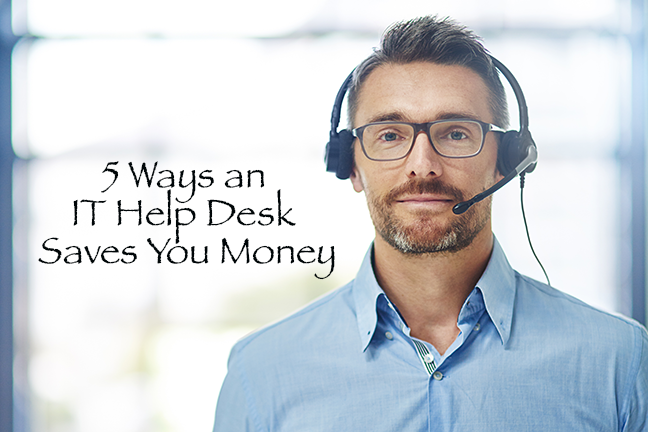 Here are five ways you’re losing money by not using a help desk. When it comes to efficiency, an IT help desk is far superior than other approaches to solving tech problems. For one example, a common way of solving a tech related issue is to simply search the internet. Searching the internet for a way to fix the problem might work for minor issues, but you may find unreliable, outdated results, or your issue may be larger than it seems. Plus, if you don’t have experience with solving technical issues, it might take you longer to do so than it would take a professional. Calling the manufacturer of the malfunctioning hardware or software is another option, but you can end up on hold for long periods. Sometimes, a manufacturer will also give you generic troubleshooting instructions. If these generic steps don’t work, you may have to wait for a technician to come to your location. What happens while you wait to get your IT problem fixed? Often, you end up just sitting around. If the technology is critical to your business, the whole operation can come grinding to a halt. This wasted time can result in wasted money and lost opportunities. Depending on the technology that went down, you might not be able to make sales, manufacture goods or log customer data during this period. If the issue results in data loss, it can have even more severe consequences. 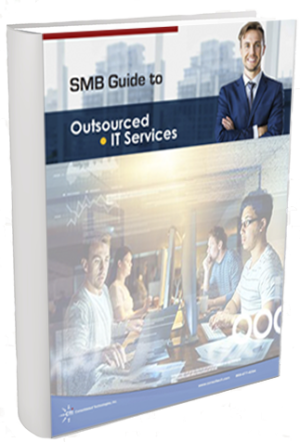 Downtime resulting from data loss results in a median cost of $12,500 per day for small-to-medium-sized businesses (SMBs). That’s why the faster you get your IT problem solved, the better. Efficient IT repair minimizes losses and maximizes opportunities. Using a help desk management platform can also help an internal IT department itself be more efficient. It helps IT professionals to organize all of the tickets sent their way. It also enables the tracking of metrics such as response times and request types. The IT department can use this information to determine which applications are causing the most problems and then assess whether those apps need updates. They can also see which request types take them the longest and find ways to help them resolve those issues more quickly. At Consolidated Technologies, Inc., we continually monitor our clients’ networks. This enables us to identify and fix problems in their early stages, possibly before they even affect the client’s operations. Our technicians have experience in resolving many types of IT issues, which allows them to solve problems promptly. This rapid response gets you back on your feet fast and helps you avoid losing money. 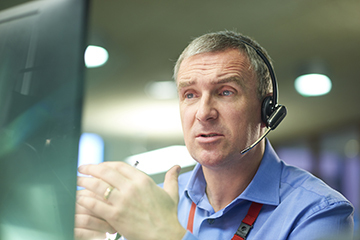 Our help desk service is also available 24/7, so we can fix problems or answer questions whenever you need it. 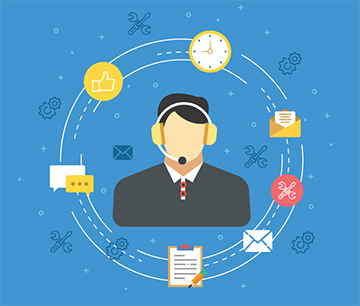 One of the key benefits of having an IT help desk is the organization it provides for your system maintenance and repair. It offers a central location where all requests go and helps to organize them so that they all get done on time. Without an IT help desk system in place, requests for repairs and maintenance as well as other IT requests will likely be scattered across multiple platforms. Some users may send in requests via email, some may call, and some may send an instant message. If their employer has an in-house IT department or IT worker, they may talk to them in person, leaving no official record of the interaction. This kind of disorganization makes it difficult to determine whether a ticket has been resolved. Requests may even get lost entirely, leading a problem to go on much longer than it needs to. The longer an IT issue continues, especially a critical one, the more money it can cost the company. With a central help desk system in place, however, all tickets go to the same place. IT professionals can use the system to receive tickets, view them, monitor a task’s progress and inform users about the status of the issue. Users can, in turn, use a help desk portal to view the status of their requests so that they can plan their workday around when the product will be back up. Status updates also prevent users from submitting unnecessary repeat tickets. The order in which an IT team responds to requests, especially a team that gets a high volume, is vital for maximizing efficiency and keeping all systems up and running. An IT workflow that isn’t prioritized can lead to unnecessary downtime and lost potential revenue for users. Using a help desk system enables the IT team to prioritize the most critical requests to minimize downtime and revenue loss. Using a help desk program, they can gather information about each request, assess its urgency and determine the best order in which to tackle tasks. IT workers may prioritize requests based on various criteria such as how many users the issue affects, how many functions the issue affects and how time-sensitive the issue is. Using a help desk platform, they can then rank each ticket based on its priority and give it a rating on a scale of, for example, one to three, with one being the most urgent. Lowest Priority: If a ticket says that, for example, a user has a question about a specific application, it would most likely be priority three. This is because it only affects one user and doesn’t prevent them from performing their job functions. Medium Priority: Say, you get a request to fix a school’s e-learning application that went down, but it’s spring break. This might be priority two because it affects a larger number of users and more significantly impairs usage, but no one will be using the application for the next week. Highest Priority: If a ticket says that a server is down or a problem may cause a data breach of sensitive information, it would be priority one. This issue affects many users, completely blocks them out of the system and could cause severe financial damage to the organization. Prioritization based on other factors can also help with efficiency. Using a help desk platform, IT professionals can determine what order to do tasks in to maximize their productivity. For example, an IT worker might decide to handle multiple similar issues to avoid having to switch applications. Similarly, they might take care of multiple tasks on the same floor at one time rather than running back and forth between floors. Help desk tickets often include space for a title and description, and they may also include space for other details such as department, floor number, position in the company and more. Using more detailed forms allows the IT team to prioritize better and sequence their tasks. Some help desk software can also assign tickets to personnel using automation. These systems might assign all tasks in a particular category to a team member who has expertise in that area. They can also help to balance the workload so that no worker is overly busy while another doesn’t have anything to do. Programs with this capability can make prioritization even more efficient. Having clear due dates for tasks can help to ensure that things get done on time and that everyone is on the same page regarding when issues will be corrected. Without these due dates, it is harder for the IT staff to know when and in what order to take care of requests. Users also won’t know when their requests will be taken care of, which makes it harder to plan around the technical issue and may lead to them submitting multiple requests for the same problem. Some IT tasks are also completed on a regular schedule including software updates, checks for cybersecurity purposes, data backups, password changes and more. Assigning due dates to these tasks helps ensure they get completed on time. Getting these regular maintenance tasks completed on time helps keep all systems in optimal condition and helps prevent potentially severe technical and cybersecurity problems from occurring in the future. Many help desks automatically add due dates to tasks or allow IT workers to add due dates. As work on the request progresses, the IT workers can adjust the due date as needed. 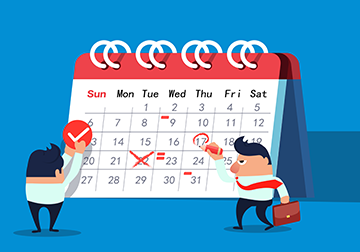 These due dates can help the IT team to plan their workdays and ensure that everything gets done promptly. Users can also see these due dates and any adjustments that the IT team makes to them. This communicates to the user approximately when the issue will be taken care of. They can use this information to stay up to date on their requests and plan their own workdays. Using a help desk and other managed IT services can save you money on IT as compared to other plans such as “break and fix” services. The Break and Fix Approach: With the traditional break/fix method, you call an outside technician who comes to your location to fix the problem. The technician charges the user an hourly rate. Managed IT Services: With managed IT services, the user pays a monthly service fee, which typically include a help desk. You have a consistent relationship with a service provider who handles all issues as they arise. Managed IT services, like those from Consolidated Technologies, Inc., also often include system monitoring, so the IT team may proactively fix problems before your team even becomes aware of them. Additionally, the service provider may conduct regular updates, maintenance and cybersecurity testing. Although a break/fix plan doesn’t have monthly fees, the hourly fees when an issue does occur are often higher. Because you don’t have IT professionals continually keeping your system up to date, protected and running optimally, you may also start to run into more issues as time goes on. These issues will also likely be more severe than the ones you encounter if using managed IT services. In today’s world, businesses depend so heavily on their IT equipment that it needs to be running optimally at all times. 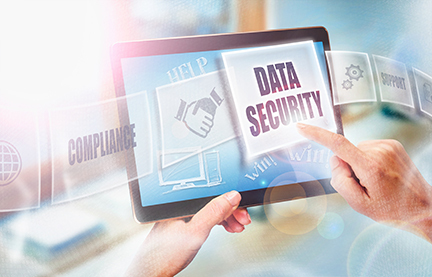 There are also a lot of new cybersecurity risks that you need to constantly be watching for and protecting yourself against, and data breaches are becoming more common. More than 850 businesses reported data breaches in the first eight months of 2018 alone. The growing prevalence of cloud computing and software-as-a-service business models means businesses are accessing more of their data and applications remotely, so any IT issues are often also best handled remotely. Over the years, these shifts have made managed IT more and more essential. Over the long term, a break/fix plan can end up being more expensive than a managed IT plan. Although you avoid monthly service fees with a break/fix plan, you may see more costly problems arise in the future if you’re not proactively managing your system. It’s also easier to budget for a small, monthly fee than hourly charges you get whenever a problem occurs. Sometimes, however, you may need a technician on-site even if you have a managed IT partner. That’s why Consolidated Technologies, Inc., also offers break/fix maintenance programs. With our break/fix services, you can control the initial response, and our IT team will respond in the way that best fits your needs. Using an IT help desk enables you to take care of IT repairs and maintenance efficiently and at a lower cost than other approaches to technology maintenance. It helps you to avoid issues such as scattered IT requests, a lack of prioritization and unclear due dates. These problems can lead to excessive downtime, which can lead to lost revenue. If you’re not using an IT help desk, you’re losing money. At Consolidated Technologies, Inc., we provide 24/7 IT help desk and desktop support, as well as many other, managed IT services. Our certified technicians can answer your questions and help solve issues you encounter with a wide variety of software and hardware. We also offer managed security, break/fix management, engineering support, sever care and more. We are focused on getting you the solutions that are best for your needs and knowing when and how to adopt the latest technologies. That’s why more than 2,000 companies trust us to help them navigate the quickly changing world of today’s and tomorrow’s technology. To learn more about our managed IT services, contact us today, so that we can make sure you find the solution that’s right for your business.